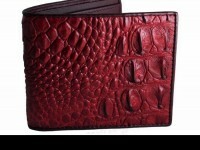 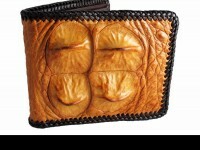 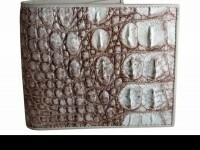 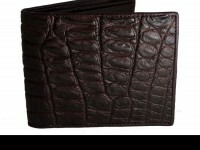 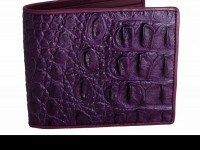 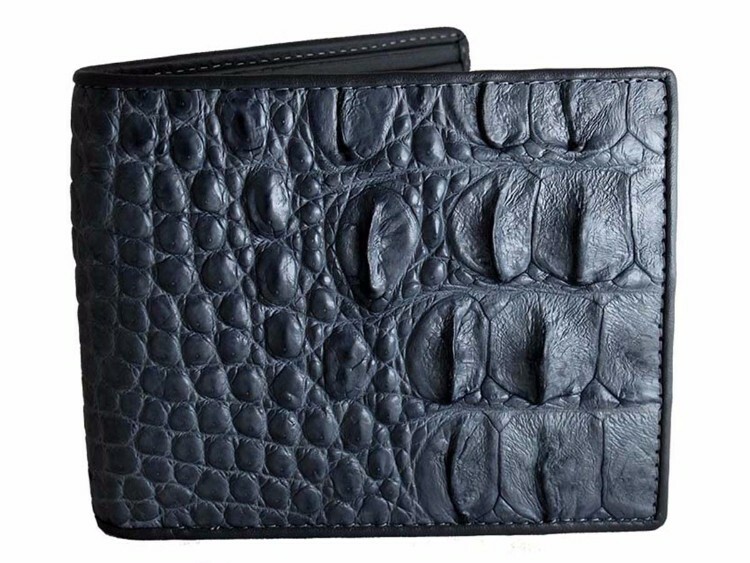 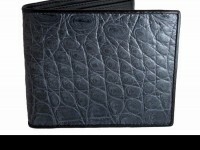 A crocodile leather wallet finished in gray with a calfskin interior. 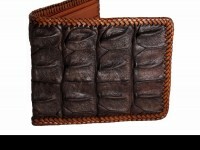 Rugged pattern made from the flank and back of a large croc. 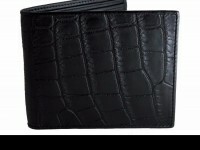 Completely unique hand made wallets from Real Mens Wallets. 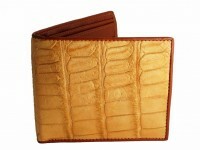 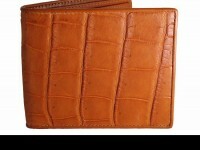 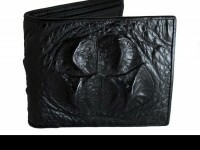 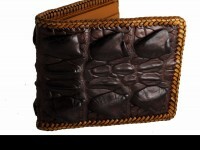 Made from genuine crocodile leather, you wont find this elsewhere.